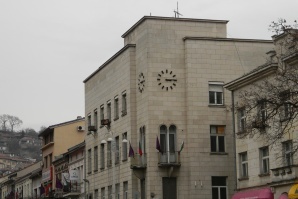 All the necessary actions for restoring the Town Clock mounted on the building next to the Post Office were undertaken by initiative of Veliko Tarnovo’s Mayor Daniel Panov. On 3rd March, Bulgaria’s National Day, one of the town’s contemporary symbols was given new life after nearly 30 years of abandonment. The clock which used to chime with the melody of the Shishman song is now fully renovated and working. Its mechanism was removed, fixed and put back in place again; its wiring and power supply have also been renewed. A back-up power supply is provided in case of electricity blackouts. Currently the technical option to make the clock sound with Veliko Tarnovo’s anthem Shishman song is being tried out.